Bestselling award-winning author and certified evidential spiritual medium Jeffrey Marks returns to Daylight Healing Center for an evening of delivering messages from our beloved friends and family in the spirit world, letting you know that all do come together for the season. Reunite with your loved ones in spirit; they definitely wish to share in the celebration! 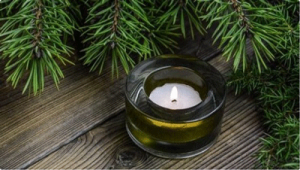 The holidays can be hard when it comes to missing those we’ve lost, but through the power of mediumship, our beloved friends and family members on the Other Side can demonstrate that they are right there beside us, sharing the love of the holidays. To learn more about Jeffrey, including private one-on-one sessions and how you can host your own intimate mediumship gathering, visit his website by clicking HERE. Pre-registration required. Please click HERE. You will be redirected to Eventbrite.